The attitude that the EU owes something to the candidate countries in the Western Balkans is wrong, as well as the belief that concerns over the growing Russian influence in the region will be enough to bring someone “closer to the EU”, according to the EU Ambassador to Montenegro. The EU has never been so active in the Western Balkans as in the last six months, Estonian diplomat Aivo Orav told the “Western Balkans and the EU – Where do we go from here?” event organised by pro-EU NGO European Movement Montenegro on 28-30 June. “Juncker’s statements, the Western Balkan Strategy and the latest Council conclusions […] everything is in the hands of the candidate countries now,” Orav said, making clear, though, that the EU is not expected to “force” anyone to join the club. Montenegro, which broke away from a union with Serbia to become independent in 2006, opened the accession negotiations with the EU in 2012 and is considered the “frontrunner” compared to the rest of Western Balkan countries, followed by Serbia. Albania and the Former Yugoslav Republic of Macedonia (FYROM) are also candidate countries but they have yet to start negotiating. Due to reservations mainly expressed by France and the Netherlands, Tirana and Skopje did not get the green light to start the negotiation process at the EU Council in Luxembourg last week. Instead, the EU leaders decided to start negotiations in June next year, provided a string of conditions on rule of law, crime and corruption are met. 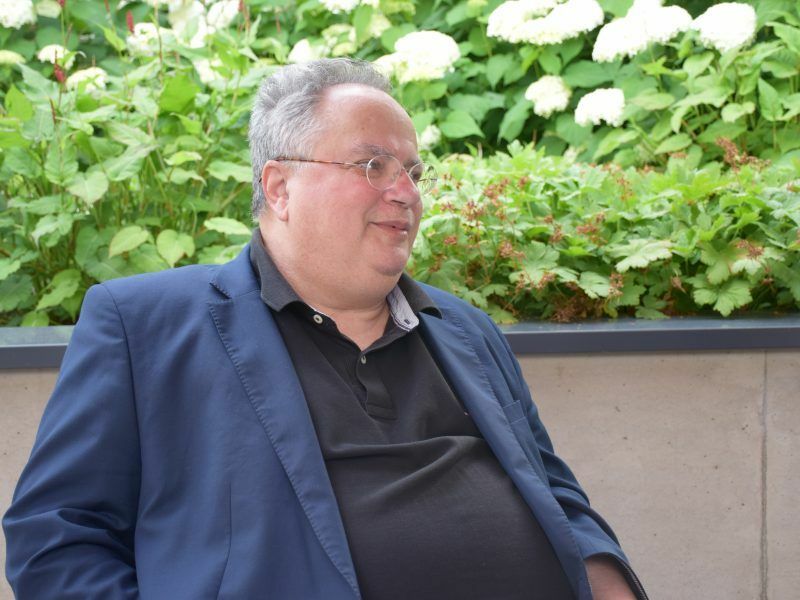 The stance of France and the Netherlands did not please Greece’s Foreign Affairs Minister Nikos Kotzias, who urged the EU to keep its word to Western Balkans. “If some countries had issues with North Macedonia and Albania, they should have notified them before. Now, we have the Commission’s report and the proposal to look at the opening of the negotiations. Now we’ve reached the point and we have to do it,” he recently told EURACTIV in an interview. Orav explained that Albania and FYROM needed further improvement in strengthening the rule of law, fighting corruption and ensuring media freedom. “This is not a joke,” he warned. Asked by EURACTIV about the Russian influence in the region, he said it was a big concern for everybody, but this argument alone is not enough. He emphasised that decreasing third countries’ interest goes hand in hand with fighting corruption. “Those who are corrupted are also most exposed to the influence of third parties,” he pointed out, adding that the European Commission is strictly following the basic democratic requirements, known as the Copenhagen criteria. 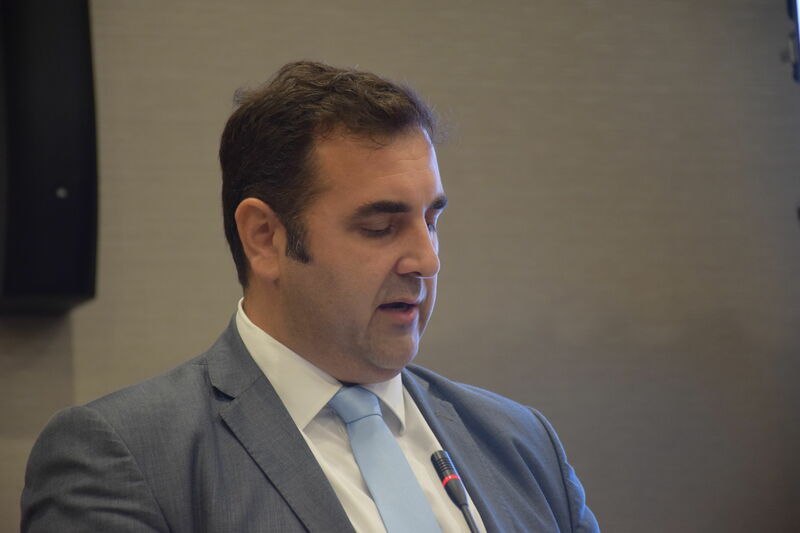 He also spoke in favour of the Council’s latest conclusions about Tirana and Skopje, saying the Council could have chosen to say nothing on the issue. Orav, who previously served as head of the EU Delegation to the former Yugoslav Republic of Macedonia at the time of the Gruevski government, said he was satisfied with FYROM Prime Minister Zoran Zaev, who went back to Skopje and “sold” the name deal with Greece as a big victory for his government. “He [Zaev] was always optimistic, even in desperate situations. Zaev inherited the urgent reform priorities as Gruevski dealt with other issues. It’s a question of how people will react to the referendum and if he will have time to deal with these unpopular reforms,” the EU diplomat said. 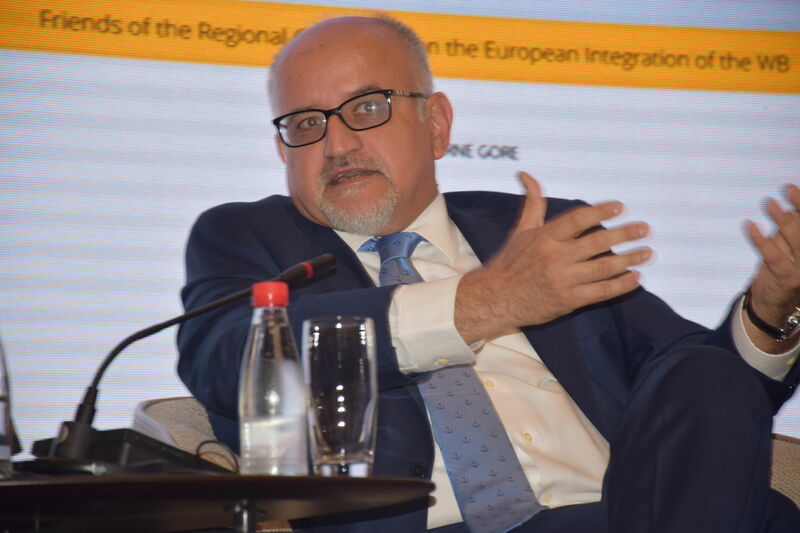 In an interview with EURACTIV, Montenegro’s Foreign Minister Srdjan Darmanović noted that even by mentioning a date , the Commission gave some hope to the region. “Enlargement is not a matter of indefinite time but we live in a very difficult world. I am afraid that the ‘business as usual’ approach will not work that smoothly. Things are changing very fast,” he warned. He said Montenegro was interested in seeing FYROM and others moving forward with the accession talks and voiced hope that his country might be ready sooner than the timeline. 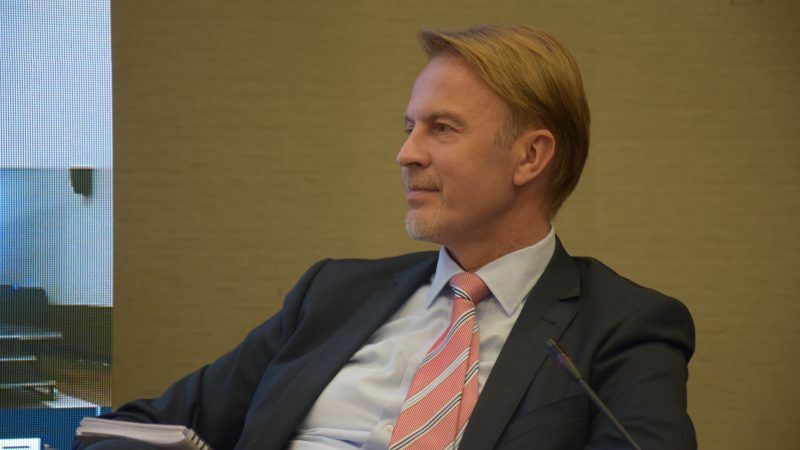 Referring to the recent Council conclusions, he noted that citizens in Macedonia might be a bit sceptical about the name deal because the EU did not invite Macedonia to start accession talks immediately. In June, Athens and Skopje reached a deal on the long-standing name issue and agreed the Republic of Macedonia be renamed “Republic of North Macedonia”. Zaev has said he was going to hold a referendum on the new name in September or October. “The courage demonstrated by the leaders of Athens and Skopje at this particular moment having in mind the difficult political landscape in both countries is something to be praised and rewarded,” Darmanović said, adding that citizens in Skopje want some impetus and encouragement. He added that Macedonia as a society has lost 10 years since the NATO negotiations begun and during that time things came on the brink of collapse. He also explained that the EU cannot neglect the geopolitical factor in the region. The minister referred to the alleged coup plans staged by the pro-Russian opposition to sabotage Podgorica’s efforts to join NATO. “We were surprised by what happened in October. Our relations with Russia were a bit cooled down because Russia had started meddling in our domestic politics. On the other side, we are faithful to our progressive foreign policy and we ally 100% with the EU foreign policy,” he told EURACTIV. He added that things have calmed down now. Along the same line, Momčilo Radulović, president of the European Movement in Montenegro, said the Council’s decision was not promising. “The Macedonian leadership deserved a stronger support from the EU structures and it’s high time we realised that most reforms are fostered in the period after the negotiations start. The case of Montenegro is clear about it. All the reforms were strengthened when negotiations started,” Radulović emphasised. He said that the EU has a lot of tools to stop negotiations whenever it wants and that delaying decisions does not lead anywhere. As far as the pre-accession funds (IPA) are concerned, Radulović said their use should be better organised as there is lack of capacity in the public authorities. He also warned that some of the funds, which are allocated by the local EU Commission services, have not been distributed transparently especially those delivered to civil society. A number of NGOs have signed the “Balkan Voice”, an initiative which aims to better involve the civil society in the Western Balkan countries’ negotiating process. “We want to make this cooperation a standard for all countries,” Radulović concluded.